The showcase features vendors, event planners, catering companies, florists, event rentals, gowns, and more. 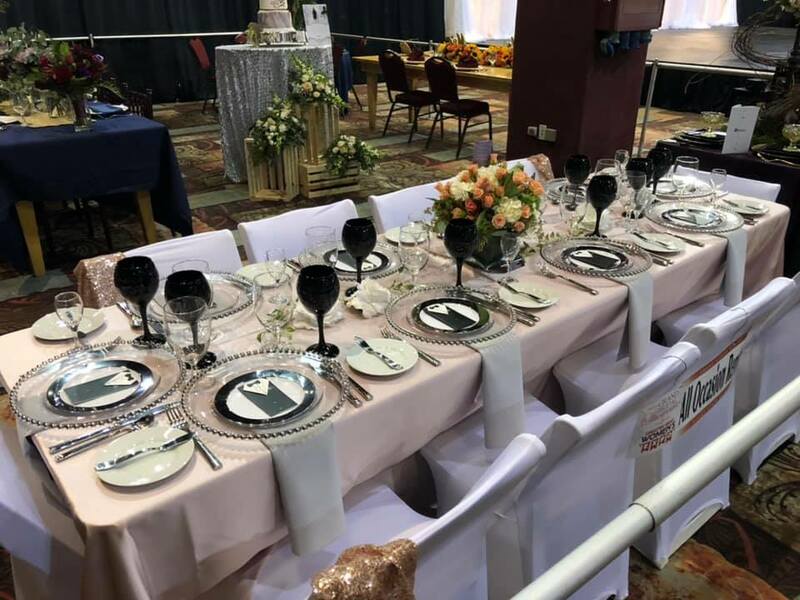 A major vendor in the show, All Occasion Rentals, entered 2 tables in this years competition. 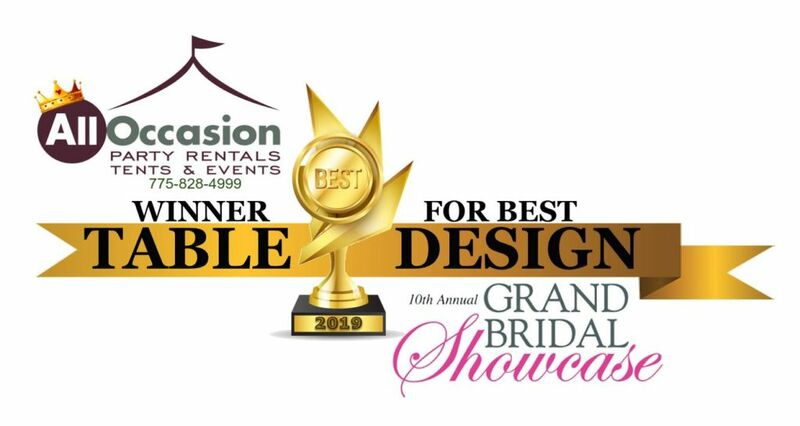 As a result, All Occasion Rentals wins BEST in Tabletop Design award. The winning table design is elegance and sophistication in one. Above all, the lavish linens. Also, gentle tones like light greys and pinks are in this year. Consequently, All Occasion Rentals design captured the hearts of all the brides to be. Most noteworthy on the table, the ever popular Pink Blush Lamour Linen. In addition, Silver beaded chargers and Grey accent napkins nicely accented the table. Black opaque wine glasses also pushed this design over the top. The accompanying floral arrangements designed by April Haymond of Candlelight and Roses.